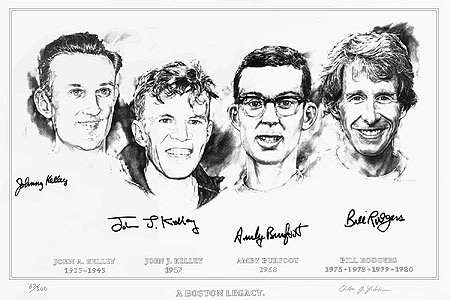 An autographed limited edition lithograph. Signed at his home on Cape Cod during the week of March 31 to April 6, 1994. Signed at his home in Massachusetts on April 8, 1994. Signed in the lobby of the Copley Plaza Hotel, Boston, Massachusetts on April 12, 1994. Signed at his home in Connecticut on April 13, 1994.